This week's update features a whole new way to kill Evil Dave's hellish rodents for spice, along with a 'Favourites' list for Fairy Ring codes and a selection of reward upgrades from the most recent poll. Lurking in the corners of Evil Dave's basement under Edgeville are some extra-large Hell-Rats, each guarding 4-dose pots of spice. It's a bit too cramped for a human to crawl into the alcoves to fight them directly, but if you've completed Evil Dave's section of Recipe for Disaster you can insert your pet cat and let it battle the Hell-Rat Behemoths on your behalf. Each of the four Behemoths guards a pot of spice of a different colour. If your cat wins, you'll get a guaranteed reward of a 4-dose pot of that spice, making it easier to collect the ingredients you want for your stew. Even a fully grown cat will find a Hell-Rat Behemoth to be a tough challenge. A wily cat would have a good chance of success, whereas a kitten would drop dead pretty quickly. You can help your pet during the fight by passing fish or milk through the curtain to heal it, and you can run away at any time to abort the fight and save your cat's life. If a Hell-Rat Behemoth kills your cat, the cat is permanently lost. While working on the cat code to install this feature, we have also attempted to fix a bug whereby cats occasionally tried to grow into the wrong state, and kittens could grow far too slowly. Felkrash, in the Port Sarim rat pit, can train an overgrown cat into a wily cat once you've completed the Ratcatchers quest. If you've had a wily cat but it's become lazy due to lack of exercise, you can make it wily again if you make it catch enough vermin. 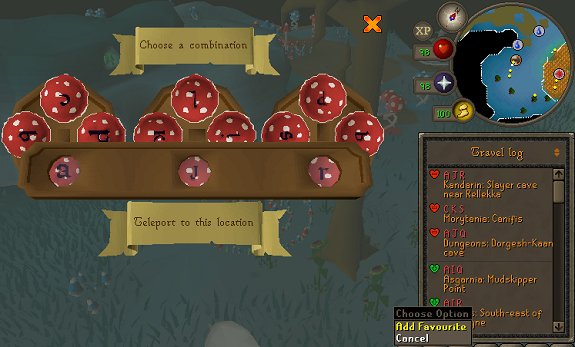 The Fairy Rings log now has a handy option for flagging your favourite codes so they're more easily accessible for you when you're traveling. Up to 4 favourites may be set. The Quest Cape now offers a perk of unlimited teleports to the Legends' Guild, putting you by the gate, close to the fairy ring. The Skillcape of Magic previously worked like the Spellbook Swap spell, so your spellbook swapped itself back again after you'd cast a spell. The skillcape's perk is now a permanent spellbook change, effectively saving you a trip to the altars where the spellbooks are normally unlocked. This perk is still limited to one use per day. The Achievement Diary cape now offers 5 teleports to the Diary Masters each day. This includes all four tiers of Karamja Diary Master, as well as Twiggy O'Korn in Draynor Village. The Skillcape of Smithing has had its perk changed. Rather than replacing the effect of goldsmith gauntlets, it now makes the coal bag capable of holding 36 coal instead of 27. The extra capacity is available only while the skillcape is equipped. Fremennik Sea Boots (4) now offer five free teleports to Rellekka each day rather than just one. Rune armour trimmed in the colours of Bandos, Armadyl and the 'Ancient' god can now be traded and equipped on non-members' worlds. This armour is still obtained only from treasure trails. 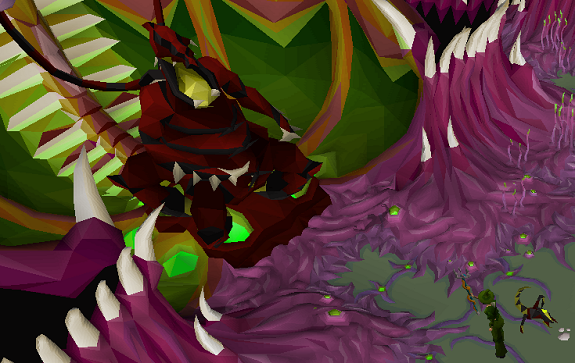 The four Shadow spells now have extra chances of stunning the Abyssal Sire while it's in its stasis chamber at the start of the fight. Shadow Rush has a 25% chance. Shadow Burst has a 50% chance. Shadow Blitz has a 75% chance. Shadow Barrage has a 100% chance. Even if you're unlucky with the Shadow spells, or you're using a different form of attack, the Sire will still become stunned after it has taken enough damage. The E. O. C. event from 1st April has now concluded. 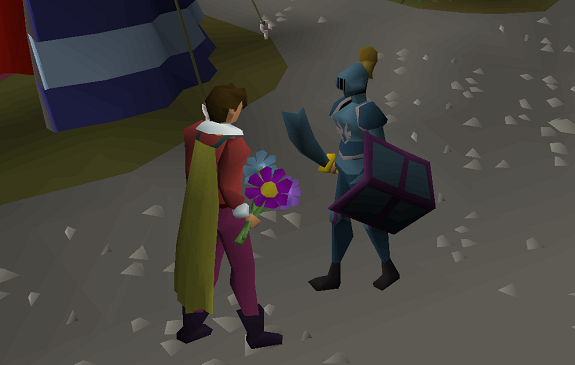 Players who'd unlocked the Cabbage skillcape or the Cruciferous Codex should henceforth be able to reclaim them from Diango or a POH toy box. If you missed out on those rewards this April, we'll make them available again next year. A permanent fire has been added near the Barbarian Village fishing spot. The right-click options on the Varrock, Camelot and Watchtower teleport spells have been adjusted slightly to make them more convenient to configure. At this time, we are unable to make the same changes to the teleport tablets, since inventory items can't currently have rearranged options like that. Drinking any kind of antipoison will no longer decrease your poison immunity. Previously if you were under the effect of antivenom and drunk a superantipoison, your protection would reduce to the superantipoison's level. 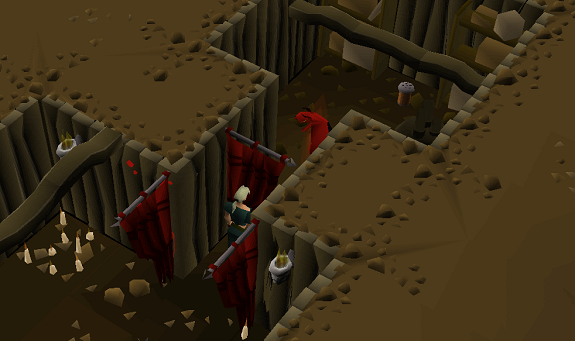 It is no longer possible to plant mithril seeds in the Elemental Workshop's upper level. The Regen bracelet will no longer cause your boosted hitpoints to decrease by 2 rather than 1. Several typos have been fixed in the Icthlarin's Little Helper quest. The task to create 20 Mahogany planks at the sawmill will now complete consistently. sorry.... idk why it keeps posting multiple posts. Given what you posted, it reminds me of Abed from Community.